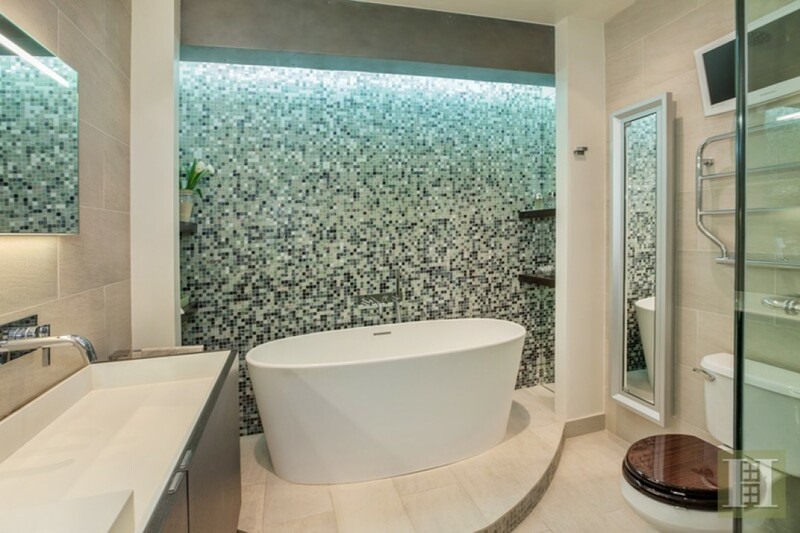 This two bedroom, three-bathroom condo loft at 66 Leonard Street (priced at $3.450 million) has a master bath accented with a wall of Bisazza mosaic tiles arranged to create an ombré effect that’s pretty darn stylish. 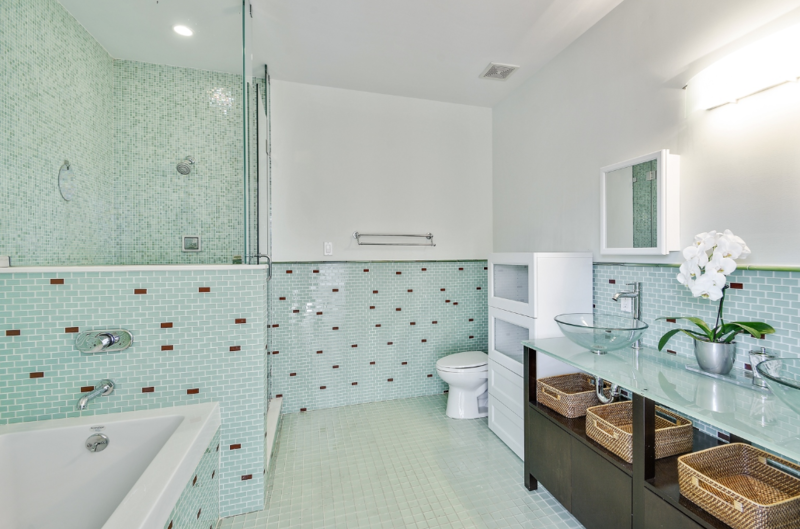 Whether you choose a classic brick pattern, a more fanciful confetti-like configuration or a sophisticated custom design, nothing beats mosaic tile for adding color and texture—not to mention style—to any bathroom. 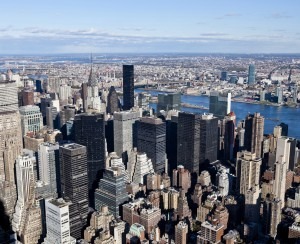 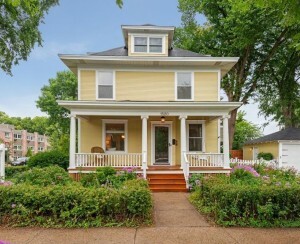 Here, five prime examples. Glass mosaic tile in a cool, pale blue hue give this en-suite master bath—in a three bedroom, 2.5-bath condo at 133 Sterling Place in Park Slope (priced at $2.350 million)—a soothing, spa-like feel. 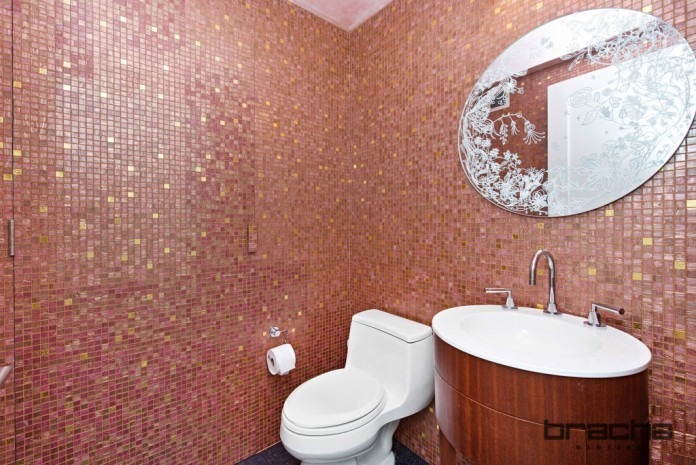 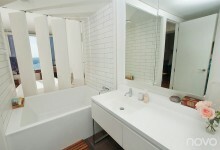 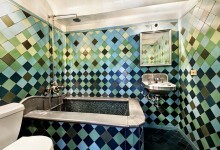 A two bedroom, 2.5-bath condo at 30 West Street in Battery Park City (on the market for $2.475 million) includes a bathroom decorated with Bisazza mosaic tile in a playful, confetti-like design. 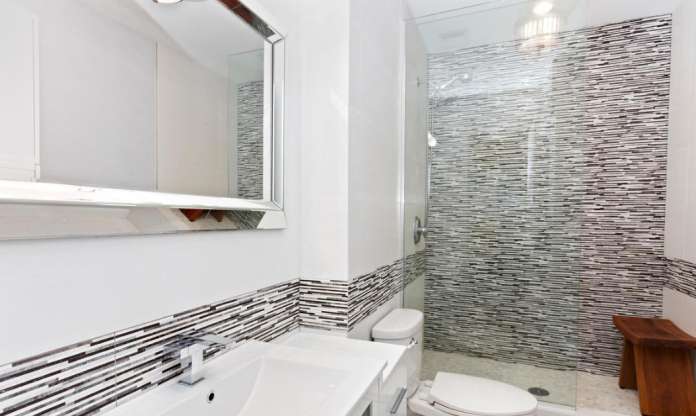 Meanwhile, at Chelsea Mews, aka 148 West 23rd Street, a two bedroom loft (listed at $1.6 million) boasts two newly renovated bathrooms accented in Spanish porcelain. 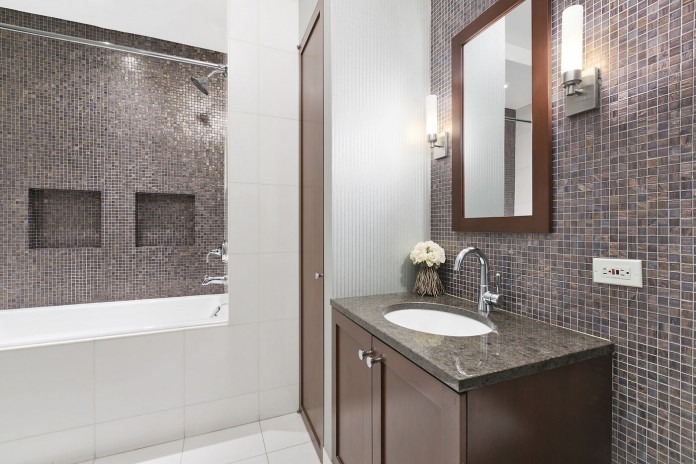 Finally, a three bedroom, three-bath condo at 150 Columbus Avenue (yours for $6.250 million) has a powder room that has been converted into a full bathroom with granite countertops, cherry wood cabinetry and coordinating Italian tile in the tub area and behind the vanity.